The moment we walk into the classroom, silence falls and smiles appear. The soft whispers of ‘oohs’ and ‘awws’ echo between tightly-packed desks as teams of Certified Reading Assistance Dogs and volunteers fit themselves into the classroom’s landscape. During that hour, the sounds of excited reading and animated storytelling fill the room, and while students keep reading tails keep wagging. This would otherwise be an unusual sight for 11:30 on a Friday morning in a Chicago Public School classroom, but for these students at Daniel R. Cameron Elementary School in Humboldt Park, this is a routine Friday morning with SitStayRead. Only 3 in 10 students entering fourth grade are proficient readers, and studies show that a low income student enters the first grade with only 25 hours of being read to, compared to the typical middle-income student that enters first grade with over 1,000 hours. We want to break that cycle, and help under resourced, low-income students increase their literacy skills and grow their confidence in reading and writing by bringing dogs into the classroom. SitStayRead brings the magic of reading and writing, dedicated volunteers, and caring Certified Reading Assistance Dogs together in the classroom to over 2,000, 1-3 grade students annually. 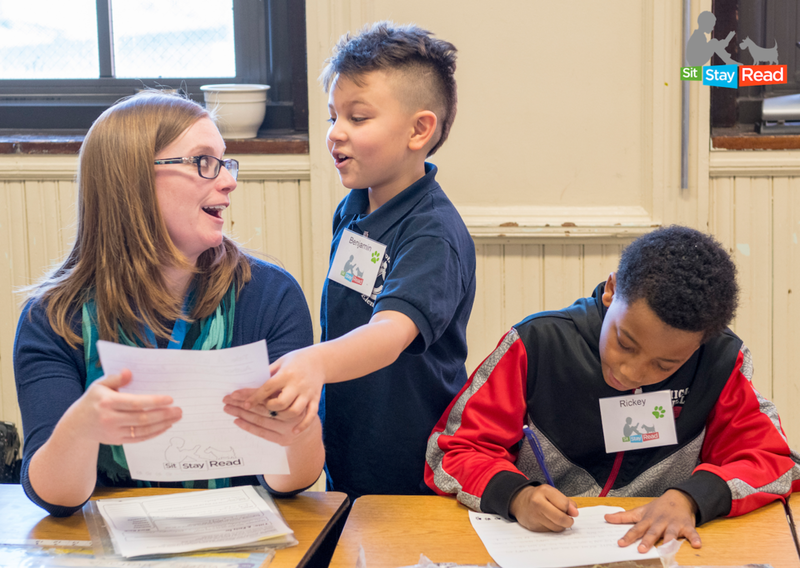 We serve 17 Chicago Public Schools in low-income neighborhoods all over Chicago. With our proven canine-based curriculum, we are working to increase various literacy skills, including reading fluency, comprehension, written expression, and enhancing social-emotional learning. We also work to establish positive attitudes towards reading and writing and develop an understanding of and connection with animals. 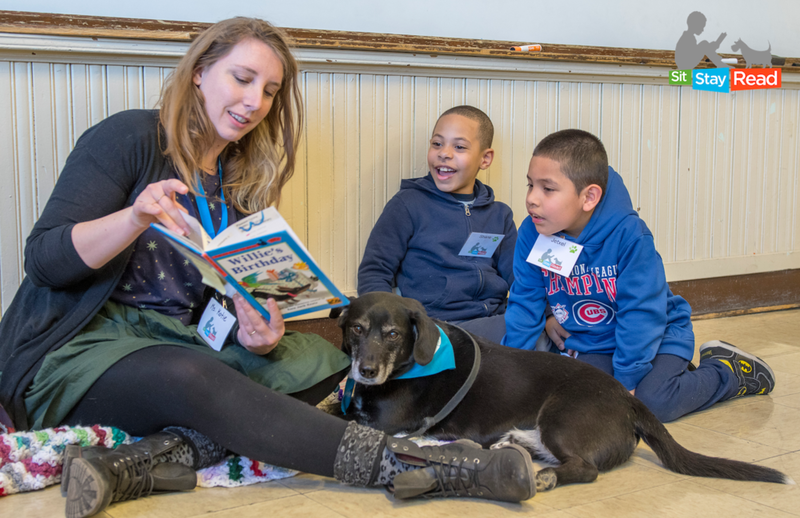 SitStayRead is made possible by the teams of dedicated volunteers, both human and canine, that impact the lives of so many elementary-school students each year.